When Supergirl’s first season concluded, it felt like a show that hadn’t yet found its voice. That isn’t the case anymore. Season 2 saw it develop a firmer grasp on what it stands for. During its hiatus, the show moved from CBS to its new home on The CW, and this move largely improved the series. The transition brought significant tonal shifts, structural changes, and a closer contact with the rest of DC’s television universe (Arrow, The Flash, Legends of Tomorrow) that makes crossovers easier to accomplish. 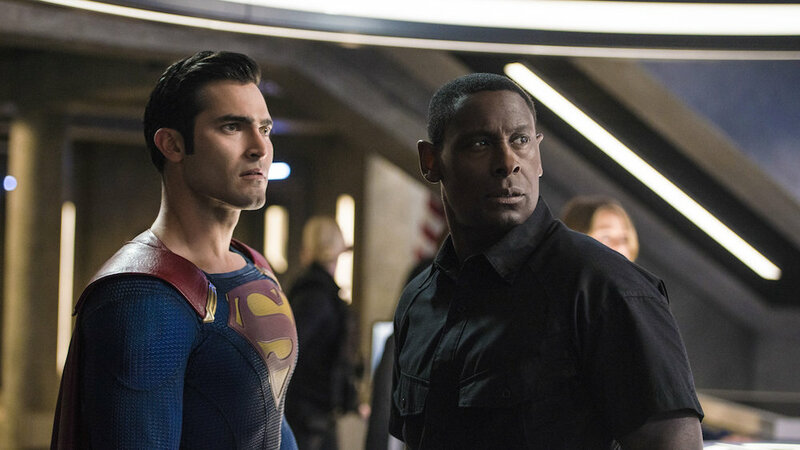 As a result, Supergirl’s sophomore year delivered more of the show’s trademark charm, fun, and action, but with added emotional depth. After defeating the Kryptonian villain Non, Kara Danvers (Melissa Benoist) continued to balance her super-hero adventures as Supergirl with her ordinary life as a young reporter working at media conglomerate CatCo. Right off the bat, the show makes big changes from season 1. 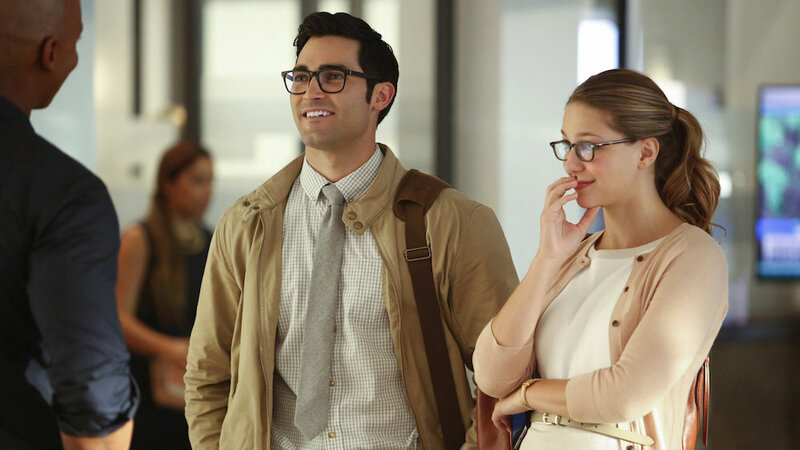 The first episode saw Kara team up with her famous cousin Superman (Tyler Hoechlin, only ever complementing Benoist), after not showing him at all for a whole season, and she also calls off her relationship with James Olsen (Mehcad Brooks). The offices of the Department of Extranormal Operations (DEO) were relocated from a remote desert location to the centre of National City, and we learned more about the personal relationships of the characters, all while our heroes dealt with new and unexpected enemies. The series developed a team format, much like Arrow and The Flash. Those shows focus on their eponymous heroes a lot, but both also ensure there’s a strong support network behind them. You’re likely to hear as much about ‘Team Arrow’ and ‘Team Flash’ as you are the superheroes themselves, and that’s now true of Supergirl. A makeshift family aspect of the show existed last year, but now it’s been streamlined. 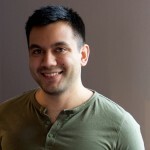 Winn (Jeremy Jordan) jumped from CatCo to becoming a working part of the DEO, occupying the position of resident computer whizz a la Felicity and Cisco on Arrow and The Flash respectively. Kara’s life as a reporter took a backseat, and we spent much more time at the DEO itself. Kara also partnered with The Martian Manhunter, J’onn J’onzz (David Harewood), to defeat bad guys more frequently. Shifting to a team orientation meant that there were better stories for almost all of the supporting players, which was appreciated. 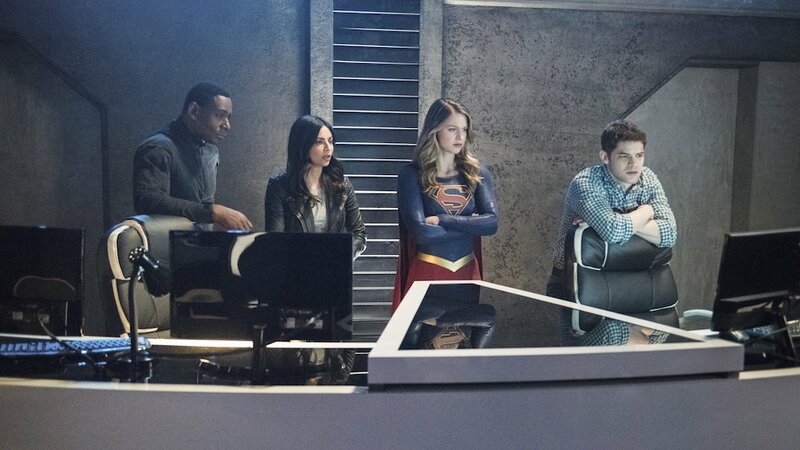 With the exception of a somewhat misguided vigilante story for James as ‘Guardian’, there were greatly improved supporting narratives for Kara’s sister Alex (Chyler Leigh), J’onn, and newcomers Mon-El (Chris Wood) and Lena Luthor (Katie McGrath). 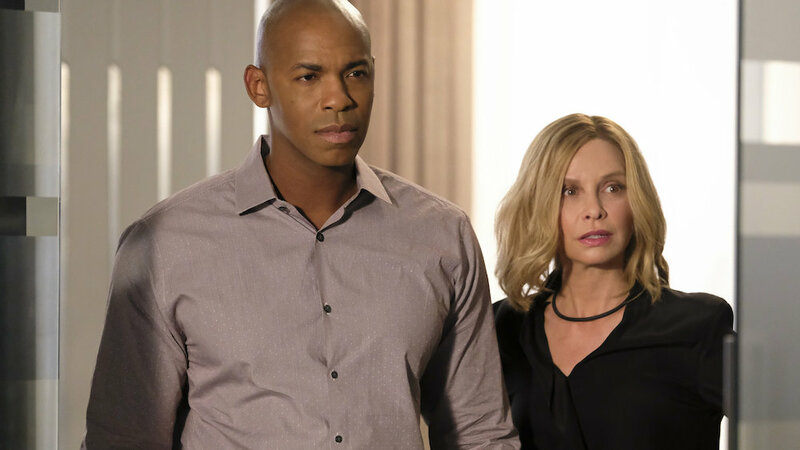 Predictably, the show struggled to deal with the loss of Cat Grant (Calista Flockhart), whose role as Kara’s tough-love boss/mentor made her an emotional cornerstone of the series. When she briefly returned later in the season, Flockhart was once again fantastic and proved how much her character was missed. In some ways, Lena comes to eventually fill her shoes, with Supergirl doing a great job showing the importance of her close friendship with Kara. By focusing on more characters than before, Supergirl did become less coherent and a bit clunkier in season 2. It had some standout episodes in “Changing”, “Luthors”, “Exodus”, “Alex” and “Resist”, and a strong finale in “Nevertheless, She Persisted”, but there are definitely highs and lows. 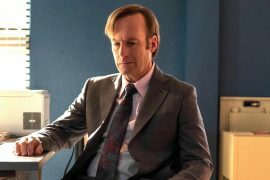 As the writers are always being asked to reconfigure storylines as they develop, it was difficult to notice any overarching theme for much of the season. The focus darted around, and storylines like James getting into the crime-fighting game as a street vigilante didn’t work. If there’s one theme that really hit home, though, it’s in the show’s handling of its relationships. When it came to romantic storylines, Alex’s realisation of her sexuality and her subsequent relationship with police officer Maggie Sawyer (Floriana Lima) showed Supergirl on top form. It was an honest and powerful depiction of coming out and acceptance that felt real, and the writers also navigated the early stages of their relationship confidently. Alex’s story in season 2 was packed full of great character moments, and she became a more well-rounded and distinct individual; she’s now someone not entirely defined by her dynamic with adoptive sister Kara. Kara also got a big romance, as she grew closer to Mon-El despite him being from a rival alien civilisation to her own. Sometimes it felt like the amount of time we spent focused on Mon-El detracted from the other characters, however. Wood has a natural way with comedy that always made his dialogue and scenes fun to watch, as a fish-out-of-water on Earth who’s inspired by Kara’s lifestyle. 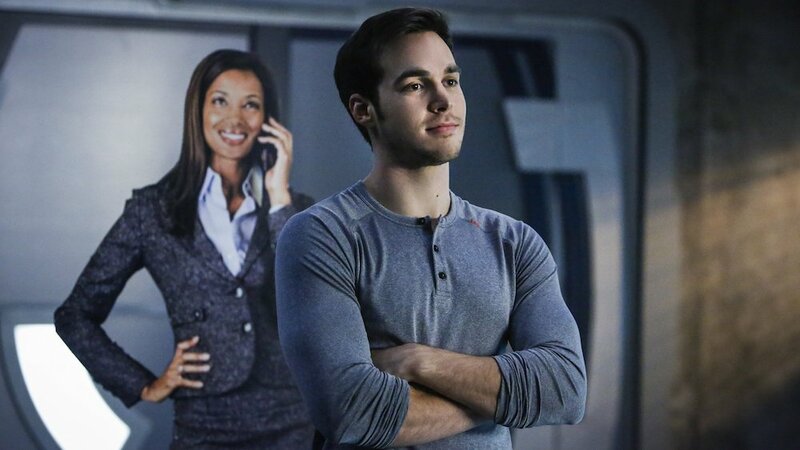 Mon-El is also a catalyst for Kara’s own personal growth and development. However, while Wood is a charismatic and humorous young actor, the sheer amount of Mon-El we got unbalanced the storytelling. Supergirl showed it’s not afraid of getting political in season 2l. This year, many of the stories seemed to respond to the hot topics of the day. Xenophobia became a central theme as humans responded to aliens with rhetoric similar to how some people talk about immigrants today. The show definitely made an effort to parallel the rise of the anti-immigrant message in America through evil organisation Cadmus, and it made its position on these issues abundantly clear in how Supergirl stood up against alien persecution. It wasn’t the most subtle of analogies, but it’s important the show offers a more optimistic and hopeful outlook for the future, especially when Arrow and The Flash only seem to get darker with age. Kara’s career as a journalist certainly didn’t get much of a spotlight this year. Snapper Carr (Ian Gomez), the irritable and rude Editor-in-Chief of CatCo Magazine, made for a decent bit of comic relief, but he never became much more than that. The show tried to muse on the state of journalism, ‘Fake News’, and blogging, but a lot of it felt very uninspiring compared with the thought and attention that clearly went into other aspects of the series. 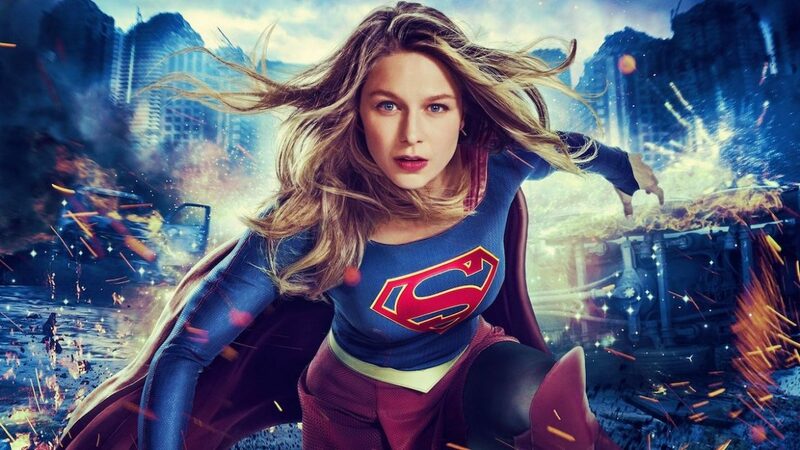 One thing that’s definitely worth noting is that, even with new budgetary restrictions, Supergirl’s visuals looked a lot better on The CW than they did on CBS. The show is certainly pushing the boundaries of what can be achieved on a relatively modest TV budget. Supergirl’s action also stepped up to another level. 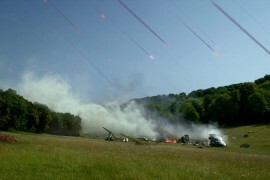 Scenes of aerial combat looked more convincing and exciting than ever before, and the effects team have got much better at bringing various alien races to life, such as J’onn in his true Martian form. Ultimately, family drama formed the backbone of season 2, with a finale building on conflict created by a family disagreement with huge consequences. The return of Mon-El’s parents from the planet Daxam saw real villainous forces emerge, and the arrival of a new alien race placed the entire world in danger. In the prelude to the finale, we also saw Lena Luthor’s issues with her mother as her dastardly family took on some of the focus, and these storylines converge successfully for the season’s ending. The way the themes of the season collided in the finale was effectively handled, as we saw the story build towards a big decision for Kara, who opted to take a difficult and painful choice for herself in order to save others. Her personal sacrifice should be a defining moment for the character, and it’ll be interesting to see how the show explores her development in the upcoming third season. writers: Greg Berlanti, Andrew Kreisberg, Jessica Queller, Robert Rovner, Caitlin Parrish, Derek Simon, Paula Yoo, Eric Carrasco, Gabriel Llanas, Anna Musky-Goldwyn, Jess Kardos, Katie Rose Rogers, Cindy Lichtman, Sterling Gates & Greg Baldwin. directors: Glen Winter, Rachel Talalay, James Marshall, James Bamford, Larry Teng, Stefan Pleszcynski, Kevin Smith, Rebecca Johnson, David McWhirter, Tawnia McKiernan, Michael Allowitz, John Medlen, Armen V. Kevorkian, Rob Greenlea, Ben Bray & Millicent Shelton. starring: Melissa Benoist, Mehcad Brooks, Chyler Leigh, Jeremy Jordan, David Harewood, Calista Flockhart, Chris Wood & Floriana Lima.